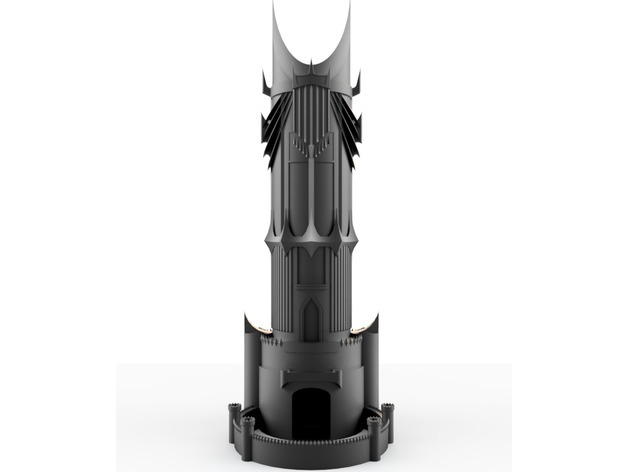 Sauron’s Tower – Dice Tower #3DThursday #3DPrinting « Adafruit Industries – Makers, hackers, artists, designers and engineers! Irpetey shared this project on Thingiverse! A dice tower based on Barad-dûr from the Lord of the Rings movie trilogy directed by Peter Jackson. Stands 49 cm tall at full scale and works with the average dice set commonly used for D&D and other table top RPGs.